Choosing the right toothpaste or floss for children is pretty simple, but there are a few points you may want to take into consideration, that could make the brushing and flossing routine easier on you and your child. Fluoride has been getting a lot of negative press lately, but the fact is that it’s perfectly safe as part of a dentist-monitored oral health care plan. Fluoride toothpaste helps strengthen and protect dental enamel, making is a great weapon in the fight against dental decay! 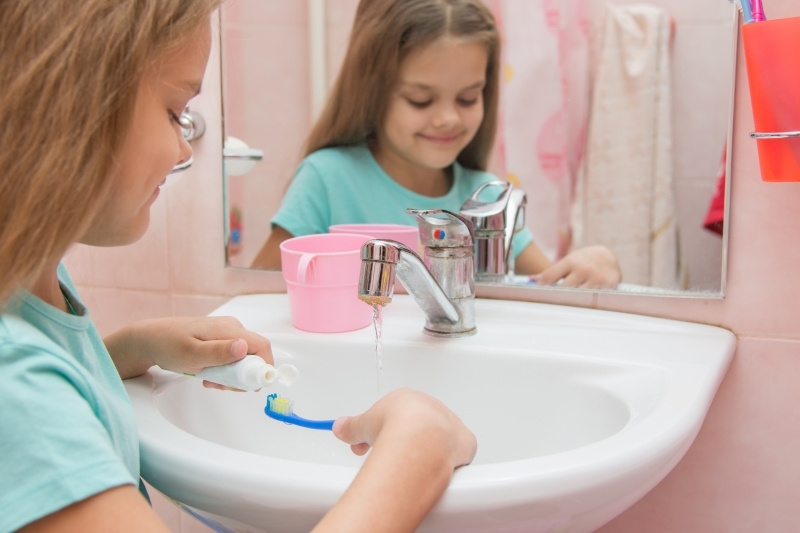 Do be sure to discuss fluoride toothpaste with your dentist first, though, because fluoride may be present in your water supply, and too much fluoride can actually cause dental issues. Many young children find the strong taste of regular mint toothpaste a little too harsh at first. And if you’re not accustomed to it, the tingly sensation it causes can even be uncomfortable. Toothpaste (and especially toothpaste for kids) comes in a wide range of flavours, and you may find it helps to start your child off with something a little milder and sweeter tasting, such as cherry or bubblegum. Floss also comes in all sorts of flavours these days, and so choosing something your child likes may sweeten the deal a little when it comes to nightly flossing. Speaking of floss, for young children, it’s best to choose a soft, fairly flexible floss that will be easy on their gums. Ribbon floss is often a good choice, as it’s wider (which is helpful while children’s teeth are growing in and not close together or touching yet), but still soft and flexible enough to help prevent bleeding as your child learns how to floss gently. If you have more questions about choosing toothpaste and floss for your children, please contact our North Delta practice today!